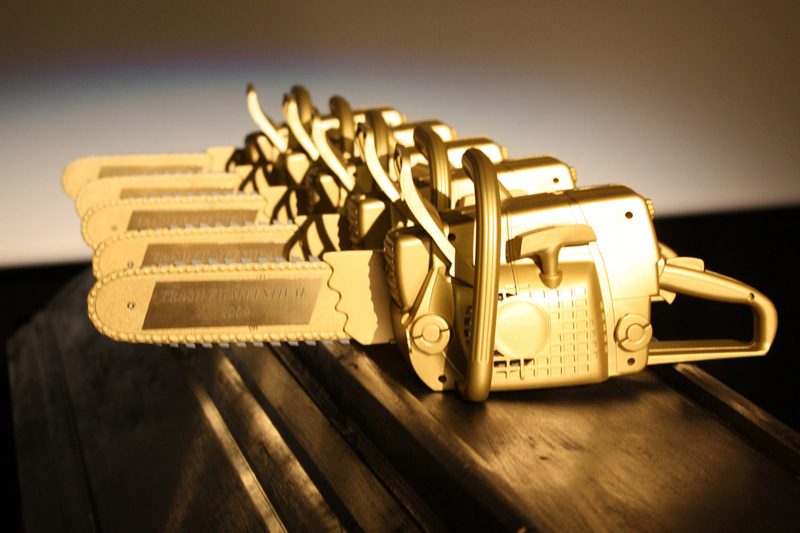 With pleasure we proudly announce: after the tenth (big anniversary), eleventh consecutive battle for the Golden Chainsaw begins! To join the fight, read the rulebook and fill out the application form. Film is to be notified no later than May 30th and sent by post to our address or register through “Click for festival” service.